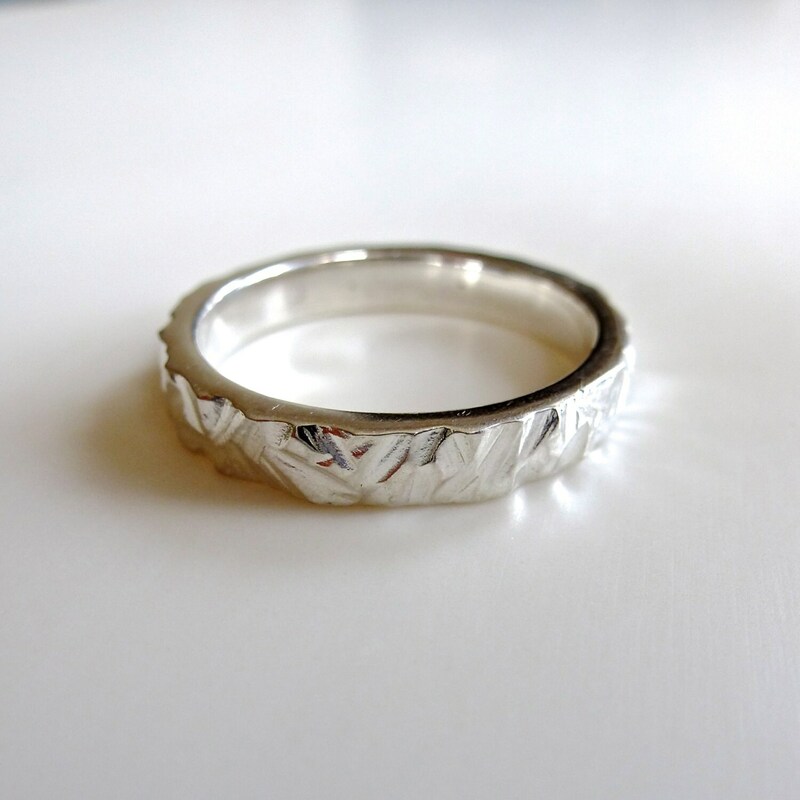 This ring is made by sculpting the form in wax and casting it in sterling silver. 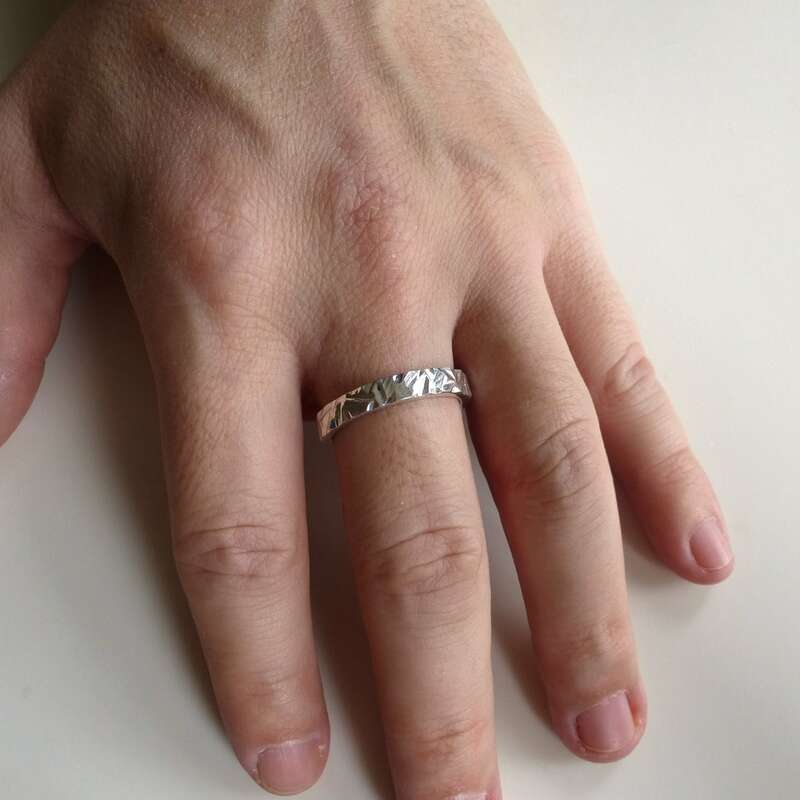 Therefore, each ring is a bit different and one of a kind. 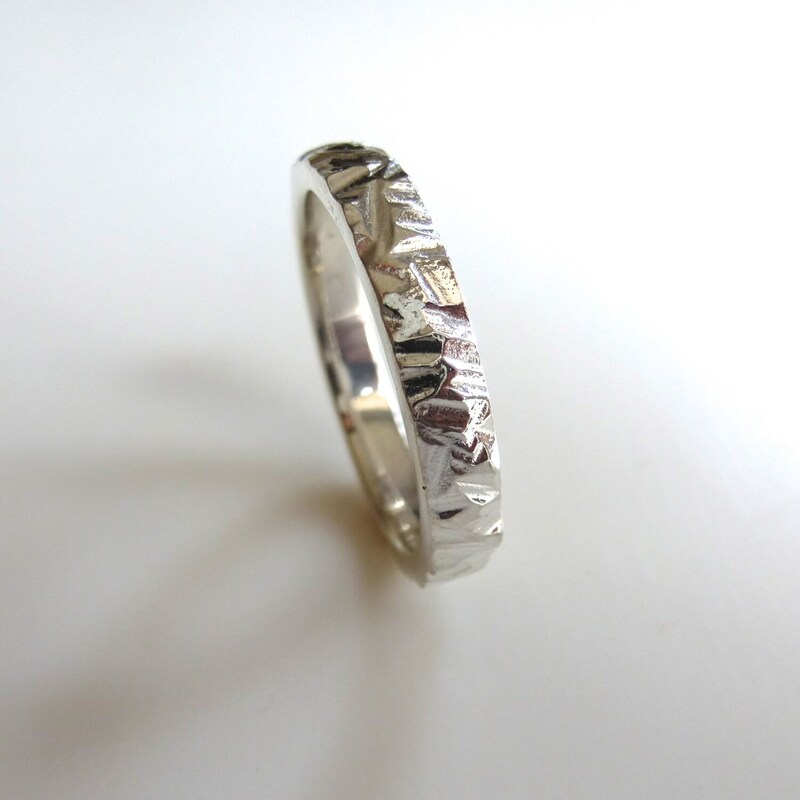 This also means that I can create your ring for you in any size, width, thickness, metal and finish. 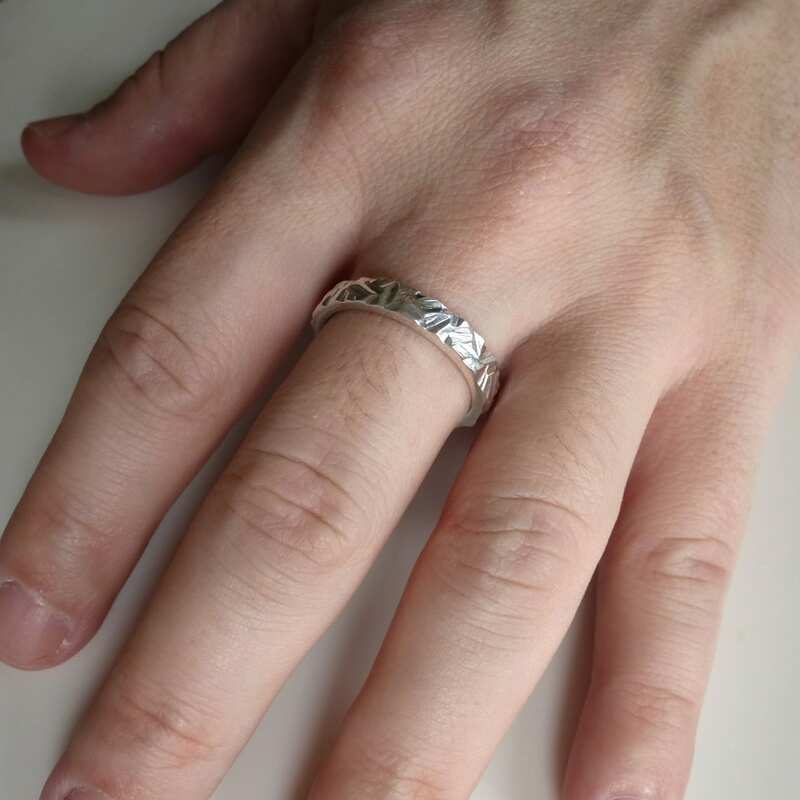 The ring pictured is a size 10, 4mm wide and 2mm variable thickness. If you require a different width, thickness or metal please advise before ordering for a price quote. 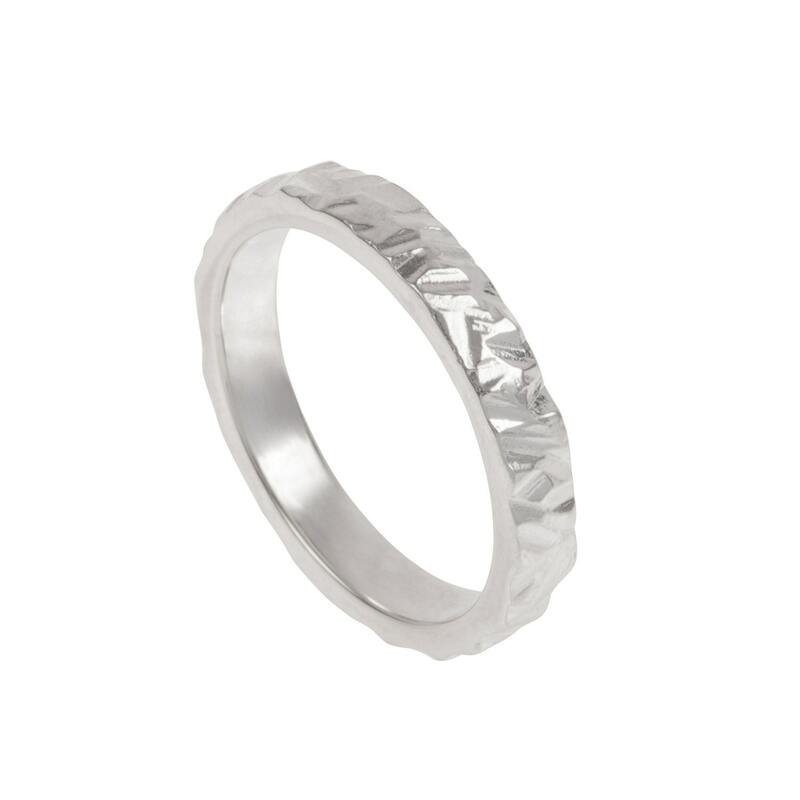 I will work closely with you to be sure that you are receiving the perfect ring and I'm happy to answer any questions.